Get your solar panels sponsored by us! Why choose us for your solar panel system? Sustainable Solar Services (SSS) has been established primarily to help overcome the main obstacle companies and households face when going solar – the initial cost of purchasing a solar power system. Furthermore we want to help people gain more independence from utilities with their frequent price rises. We are committed to introducing business concepts to Australia which are booming in markets like the US and Europe. Over 70% of all new solar systems in California are financed through commercial Solar Sponsoring and residential or commercial Solar Leasing. We can achieve a similar solar boom here in Australia. We just have to turn your empty roof into a productive asset. We are backed by business experience in the solar industry, fueled by solid engineering skills and expertise. We are driven by the competence, ethics and diligence of German engineering spirit. This makes Sustainable Solar Services a partner of trust who will not let you down. Our philosophy is to deliver projects which will work to their fullest potential. We do not accept jobs unless we are 100% confident that we can deliver it to perfection. We would be happy to have you on board with our vision to take Australia’s energy mix into the future. SSS only uses in-house CEC accredited installers to ensure full quality-control without subcontracting. The installers are certified according to the Solar Gold standard to ensure that best industry practices are followed during installation and in our additional offerings. We are proud members of the Clean Energy Council and a member of the Australian Solar Council, supporting solar energy uptake in Australia! 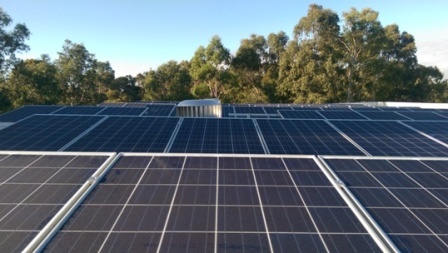 Andy / 33kW Commercial Solar Panels Melbourne, Victoria. Sustainable Solar Services specializes in the supply and installation of residential and commercial solar systems. We are happy to provide you with high quality but cost effective solar installations to maximize your benefit. We assure you that you will get a solar installation which is designed and built following best-industry-practices. We can guarantee you will have the best solar panel system in Melbourne, Victoria due to our high standards. We only use in-house Clean Energy Council accredited solar installers to ensure sustainability of your investment and your eligibility for the Australian government’s solar rebate program. Alternatively, Sustainable Solar Services can offer competitive pricing if you are only interested in acquiring solar system components. 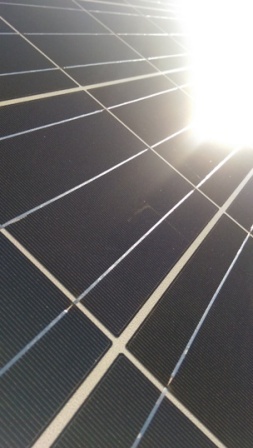 SSS only sources its panels and components from reliable Clean Energy Council approved brands. We have access to a range of products to see that your requirements are completely satisfied. Ask us about special offerings at the moment. Due to our bulk orders we are able to offer our high quality components at better rates than many others. Sustainable Solar Services wants to increase deployment of commercial solar panel systems in Australia. We therefore tailored a product which frees you from all burdens with regards to financing solar panels in Melbourne, Victoria. You also don’t have to worry about panel quality, performance or its maintenance. By qualifying for our commercial Solar Sponsoring your company may be eligible to receive your solar panel system for free. You will then receive the energy it produces from Sustainable Solar Services at a tariff that will remain far below what you currently pay to your retailer for the life of your system! The very attractive commercial Solar Sponsoring concept integrates perfectly into your business operations. It provides instant savings in cost from the cheaper electricity tariff and never generates any negative cash flow. In contrast to competitor products, with us you only pay for what you really consume and do not have to invest anything in the solar panels around Melbourne… ever! Additionally, your company gains reputation with employees, collaborators and clients, contributes to reducing greenhouse gas emissions and improves its sustainability. All of this is possible without running any of the financial or technical risks normally related to the installation of commercial solar panels. In case you are not eligible for commercial Solar Sponsoring, with residential and commercial Solar Leasing we can offer a similar product which works in almost the same way. Solar Leasing also comes without any upfront costs. Sustainable Solar Services would still finance the system with the better financing rates we can access, passing the savings on to you. The savings you achieve with your solar panels will instantly reduce your energy bill. These savings in most cases compensate for the lease payments. This would mean that you effectively get the solar panel system for free. Furthermore, all the solar energy you do not use can be sold into the grid. Increase your property value with the installation of solar panels here in Melbourne, Victoria. It could potentially cost you nothing over the years. Curious? Just give us a quick email or call and take advantage of this established business concept. 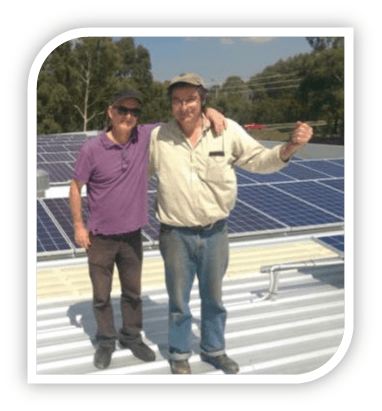 We are proud to have a strong in-house competency in many aspects of the solar business aside from solar panels in Melbourne. Therefore Sustainable Solar Services can offer support with any ventures into the solar realm in the form of expert advice. From small to large-scale solar projects, we can provide Solar Photovoltaic Consulting Services along the whole project life-cycle. Pre-Feasibility – and Feasibility Studies. 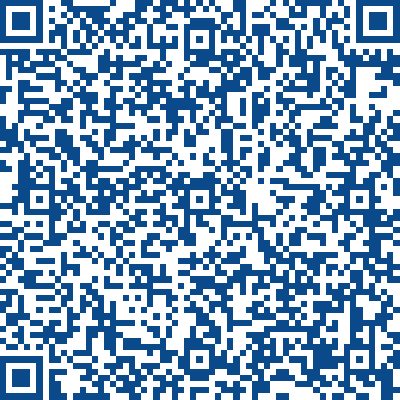 Provision of Satellite Data and Meteo Datasets for technical and economic modeling. Specification and provision of meteorological measurement stations. Construction Monitoring, Acceptance Tests and Drawdown Certification. Please contact us to discuss our approach and find out what Sustainable Solar Services can do for you as an individual or organisation. Best regards, Your SSS Team!